Concrete is one of the most widely used materials in the world. For its production large amounts of raw materials have to be excavated and/or manufactured and then transported to the Ready-mix factories. In the last few decades the effect of Carbon Dioxide (as well as a number of other “ greenhouse gasses“) and its contribution to climate change has alerted the scientific community, governments and people to the urgent need of reducing the emissions. Exposed aggregates concrete is a special type of decorative concrete that gives a beautiful surface finish and a durable surface with good compressive strength. In this article we will discuss the mix components, advantages, applications and applying steps. As you may have known Saudi Readymix is participating in this year King Abdulaziz Quality Award for Organisational Excellence. In the last few months a lot of work has been done in many departments to submit our company’s bid and to be ready to welcome the KAQA auditors on the 20th of September. As we are finishing the preparatory work, let’s all be reminded of the basic concepts of the KAQA Award and understand why the effort of participating in this process, is beneficial to our organisation as whole. Lets all work together for a great result! With the increase in economic growth, population growth and the expansion of urban areas, the city has been demarcated and roads have been paved. The need for construction, urban expansion and the construction of new buildings have increased. 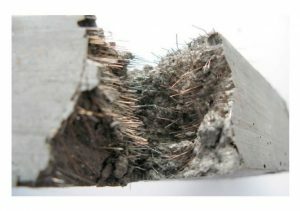 This has led to a significant increase in the use of concrete. The use of concrete is estimated at 30 billion metric tons Year in the world, and so it plays an important role in the development of the economy of countries. Concrete is strong in compression and weak in tension, therefore the tensile forces have to be carried by the steel reinforcement. 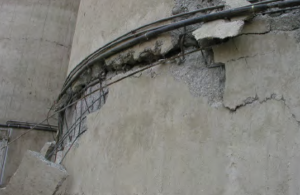 In addition, the tensile failure strain of the reinforced concrete is significantly lower than the yield strain of the reinforcing steel and concrete will crack before any significant load is transferred to the steel. 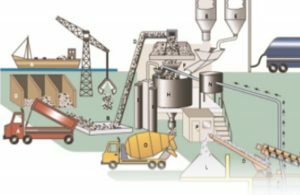 Cement is considered to be a product of particular importance for the stability and performance of the structure, different Standards and specifications across the countries specify different cements types based on different criteria. 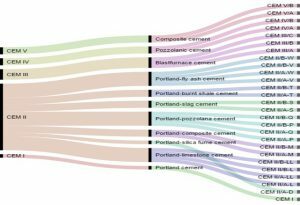 This article will compare the different types of cement in ASTM and EN. 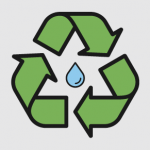 A study was conducted into the quality of recycled water at a ready-mix concrete plant to determine its suitability as mixing water for concrete. 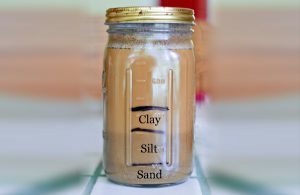 Silt/clay content and plastic fines in sand, if present in high quantities, will affect fresh and hardened concrete properties by increased water demand and preventing better bonding between cement paste and aggregates. Efforts to improve concrete structures through better concrete require research on practical concrete and on concrete practice. Of course, laboratory research is also required towards comparison and obtaining better raw materials particularly suitable for various purposes. We will learn more about concrete from sorting out problems at the batching plant than we will ever learn in the office doing new-mix designs. 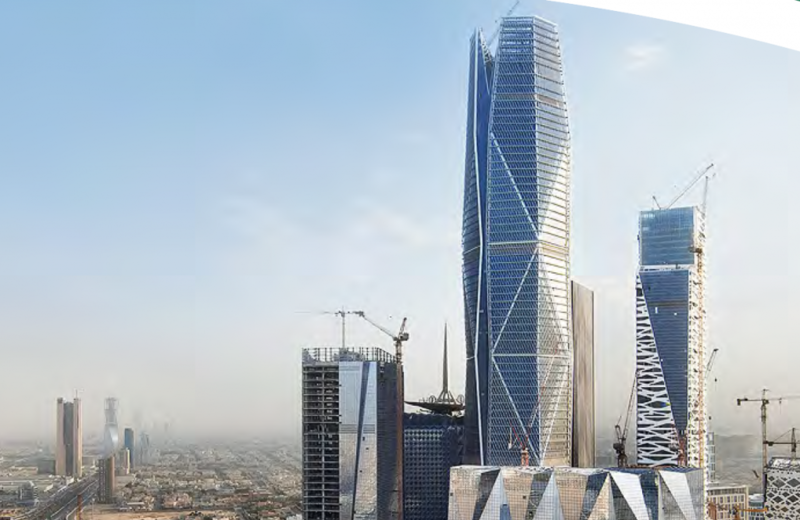 A lot of tower buildings have been built in Arabian Gulf region during the last decade, the raft foundation forms a primary structure element of such buildings, Thickness of some of them are up to 3 m or more, thousands of concrete cubic meters may poured in such elements, for instance more than 11700 m3 poured in a single raft foundation in Riyadh in 2010 by Saudi Readymix Concrete Company. 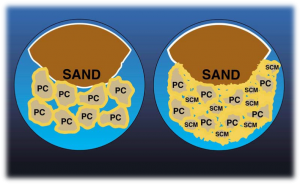 In the past few years our industry has started to specify performance-based mix designs with a focus on durability, rather than the usual practice of targeting strengths. 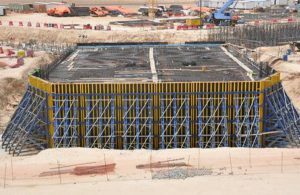 In November 2011, Saudi Ready mix completed one and a half day continuous ready-mixed concrete for the raft foundation of the Capital Market Authority (CMA) Tower located at the King Abdullah Financial District (KAFD) in Riyadh. It was one of the largest concrete pours to take place in KSA. 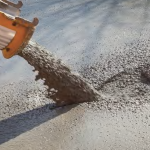 A self-compacted, cementitious structural fill or backfill that flows like a liquid, supports like a solid and self-levels without tamping or compaction having an unconfined compressive strength of 1,200 Psi or less. 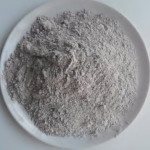 Ground granulated blast-furnace slag (GGBFS) or Slag Cement is obtained by quenching molten iron slag (a by-product of iron and steel-making) from a blast furnace in water or steam, to produce a glassy, granular product that is then dried and ground into a fine powder.